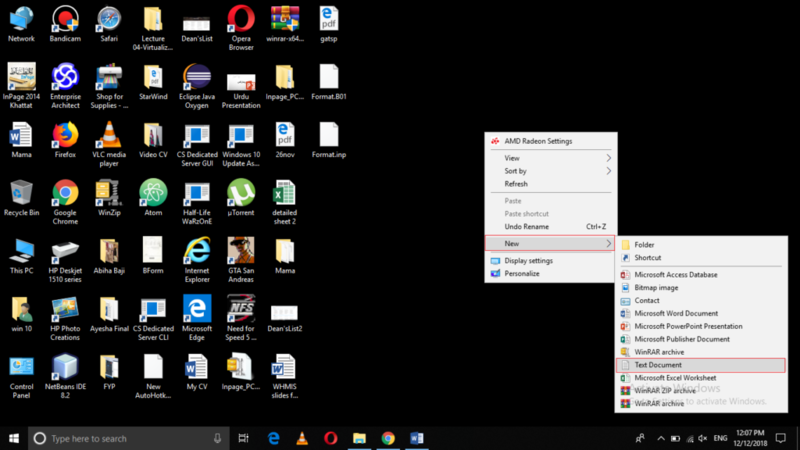 Windows 10 provides us with the flexibility to pin an item to the taskbar for quicker access. 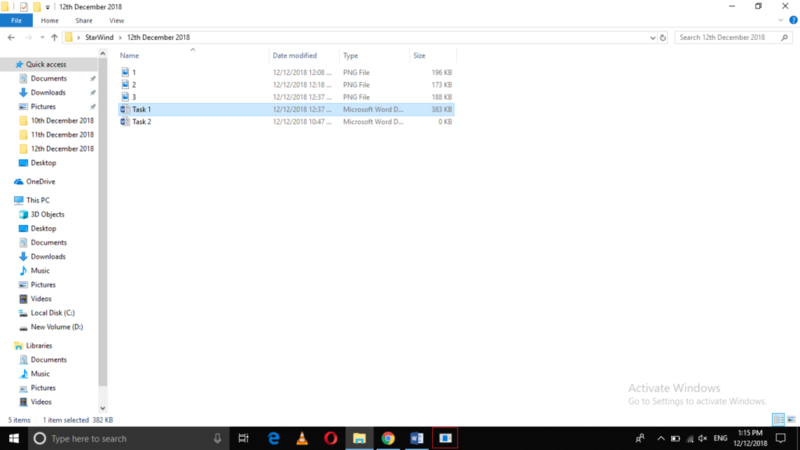 However, pinning an external drive to your taskbar is not as simple as it sounds. 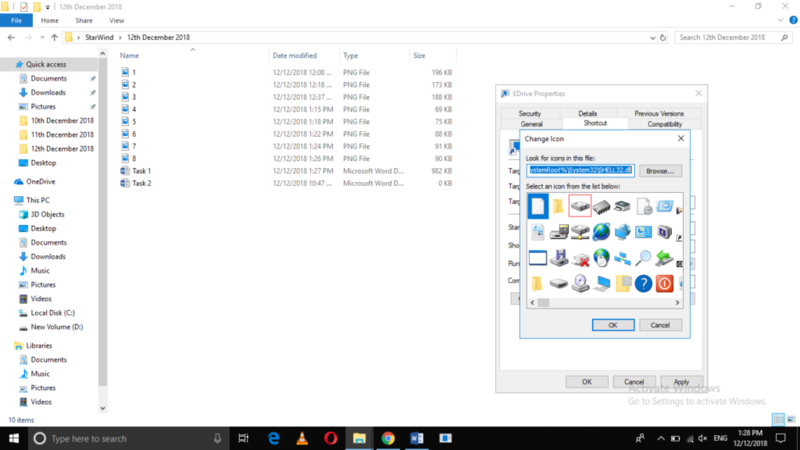 You cannot just right click on the external drive icon and pin it to your taskbar. Therefore, in this article, we will explain to you the method through which you can pin an external drive to your taskbar in Windows 10. Click on the New option from the cascading menu and then select Text Document option from the sub-cascading menu as highlighted in the image shown above. As soon as you will do this, a new text file will be created on your desktop. 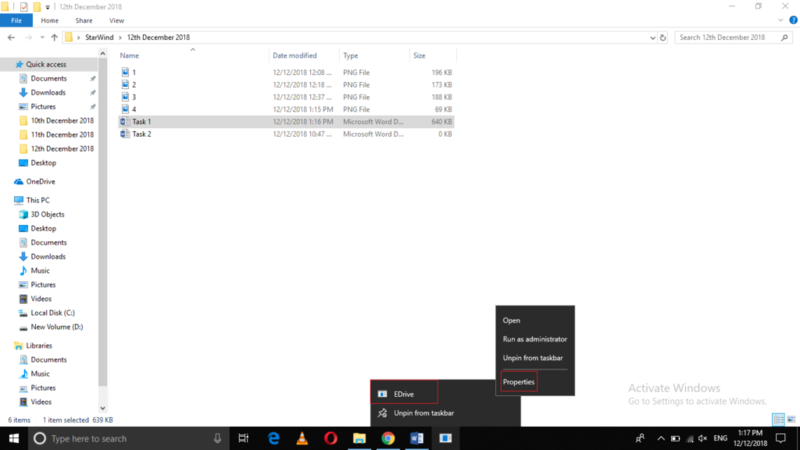 Click on the Pin to Taskbar option from this menu as highlighted in the image shown above. 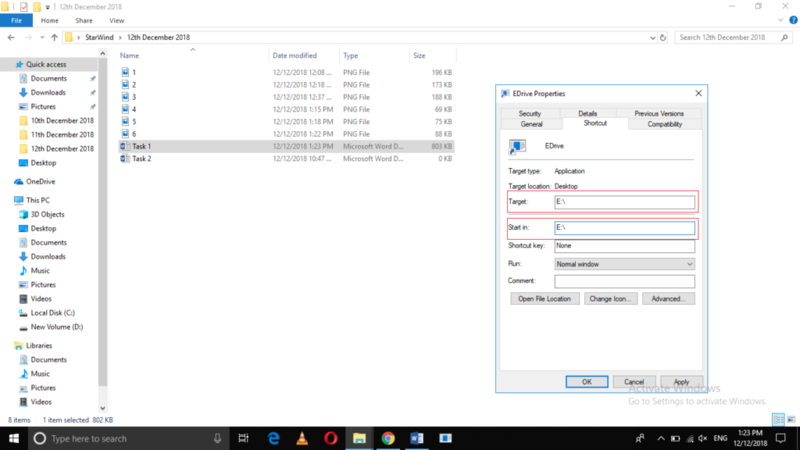 Now right click on the name of your .exe file from the pop-up menu and then select the Properties option from the other pop-up menu as highlighted in the image shown above. Now you need to modify the Target and the Start in fields. After selecting the desired icon, click on the OK button in order to close the Change Icon dialogue box. Finally, click on the Apply button and then click on the OK button in order to save your settings. 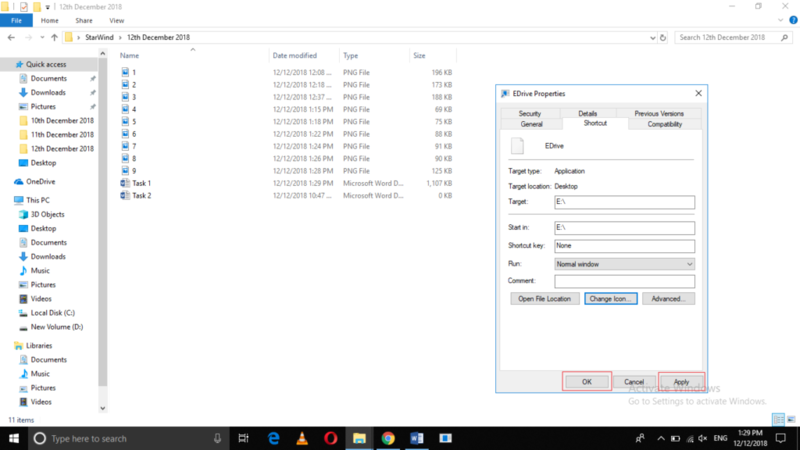 Once you manage to perform all these steps, you can easily connect your external drive with your computer system. 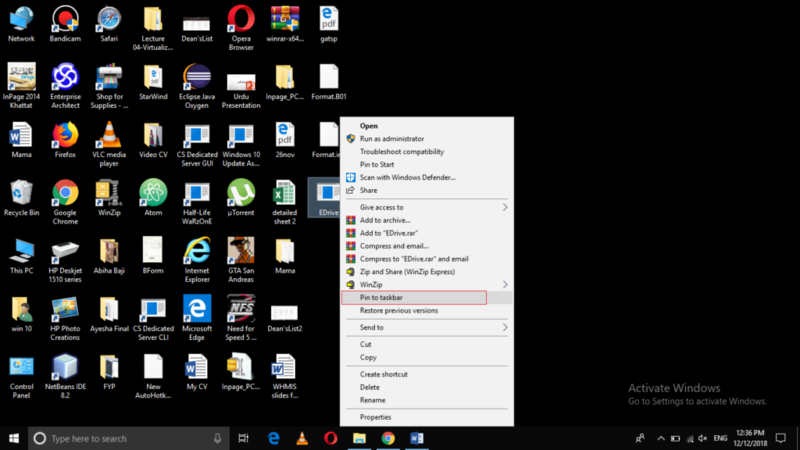 Whenever you will click on the external drive icon present on your taskbar, you will be redirected to your actual external drive. 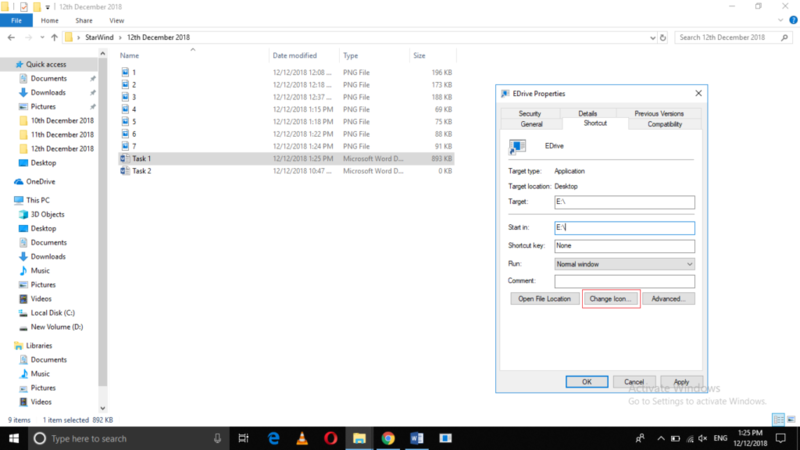 By following the method discussed in this article, you can easily pin any external drive to your taskbar in Windows 10. 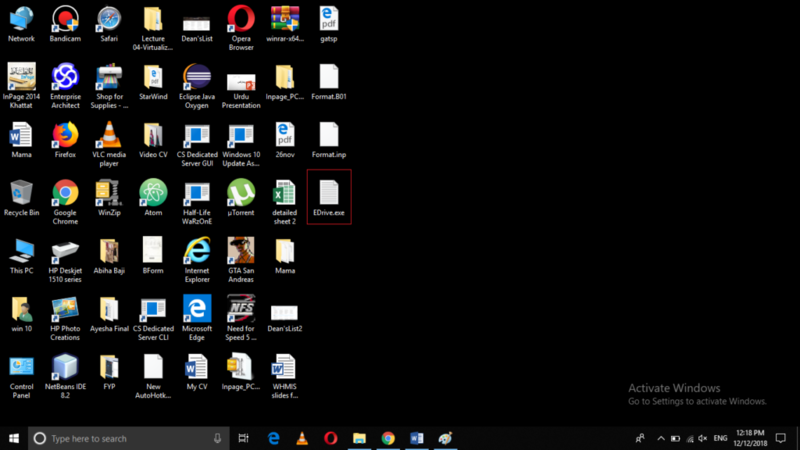 However, if at any instance, you do not feel the need of that drive icon on your taskbar anymore then you can simply right click on it and then select Unpin from Taskbar option from the pop-up menu.